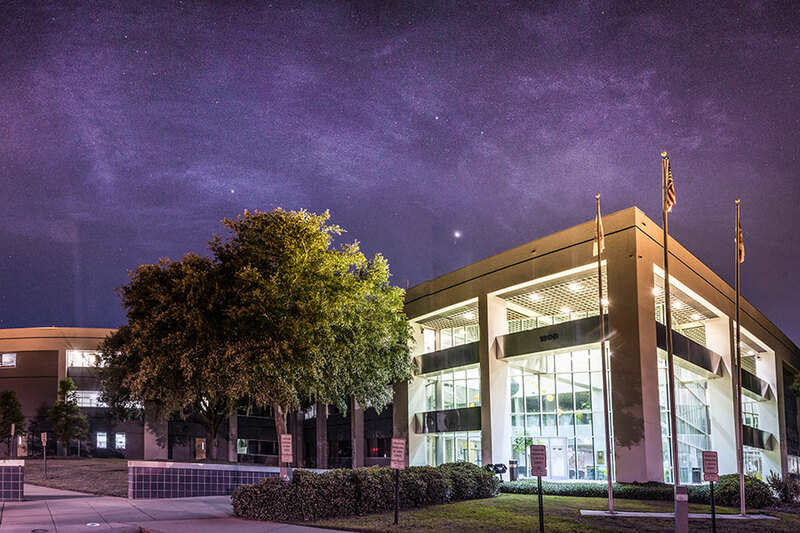 The National High Magnetic Field Laboratory will receive $184 million over the next five years from the National Science Foundation, keeping the world’s most powerful magnet lab headquartered at Florida State University. The National Science Board authorized NSF to make the five-year award for the continuing operation of the National MagLab. This is a nearly 10 percent increase in funding over the previous five-year funding period and brings the agency’s total MagLab investment to $867 million. This grant will sustain operation of the MagLab’s facilities at Florida State University, University of Florida and Los Alamos National Laboratory and provide continued access for more than 1,700 worldwide researchers each year who use the MagLab’s unique instruments to advance basic science, engineering and technology in the 21st century. Those researchers come to the MagLab to access the fleet of world-record magnets, including the world’s strongest continuous high-field magnet at 45 teslas and a pulsed magnet that can repeatedly produce a magnetic field of 100 teslas — 2 million times stronger than the Earth’s. The National MagLab recently built the most powerful magnet in the world for nuclear magnetic resonance, a powerful technique biologists, chemists and materials scientists use to study complex structures, and the 32-tesla all-superconducting magnet, the first user magnet in the world to incorporate high-temperature superconducting materials. Major investments will be made to the MagLab’s user program over the next five years. New scientific instrumentation will be added to more fully realize the potential of the MagLab’s existing world-record magnets, including the three new magnets that have been launched in the past 15 months. In addition to this large investment from the NSF, the MagLab continues to receive critical financial support from the state of Florida. Last year, the MagLab received $12 million from the state. In return for every state dollar invested in the facility, the state receives $6.57 in economic activity. Over the next 20 years, the MagLab is projected to generate about $2.4 billion in economic activity and more than 25,000 jobs in Florida. Scientists have demonstrated a way to improve the performance of the powerful but persnickety building blocks of quantum computers (called quantum bits, or qubits) by reducing interference from the environment, hastening the realization of quantum computers. Using powerful magnets, researchers learned how an intriguing nanomaterial that is part of the carbon family — a metallofullerene — is formed, findings that could help pave the way for applications in biomedicine and renewable energy. Research using the world’s strongest MRI machine has revealed a new, innovative way to classify the severity of a stroke, aid in stroke diagnosis and evaluate potential treatments. “This renewal will allow the U.S. to maintain international leadership in critical areas of magnet science and technology and to break new ground in understanding novel materials for quantum computing and information technology,” said Linda Saphochak, director of the NSF Division of Materials Research. This announcement concludes a multiyear process that began in 2012 with the lab preparing to defend itself in a national competition for the right to host the nation’s only magnet lab. In 2014, the MagLab was notified that the NSF would accept a renewal proposal rather than launch a national competition. The renewal proposal was peer reviewed by worldwide scientific and engineering experts and approved by the National Science Board, the governing board that approves major awards from the NSF. The lab’s first home-built magnet reaches 27 tesla. A new 30-tesla resistive magnet uses “Florida Bitter” magnet technology and ties a world record. The 45-tesla hybrid reaches full field and earns certification from the Guinness Book of World Records. The 900 MHz NMR magnet is commissioned, providing researchers with 21.1 tesla to study chemical and biological systems in vivo. MagLab researchers at the Pulsed Field Facility set a new world record of 100.75 tesla using a multi-shot magnet. A high-temperature superconducting magnet with no insulation reaches 42.5 tesla while inside a larger 31.2 resistive magnet. The new 41.4-tesla instrument reclaims a title for the lab and paves the way for breakthroughs in physics and materials research. Made with high-temperature superconductors, the National MagLab’s newest instrument shatters a world record and opens new frontiers in science.